protein rich and sugar poor. Using top shelf ingredients like Nielsen Massey vanilla, which really goes a long way on taste. 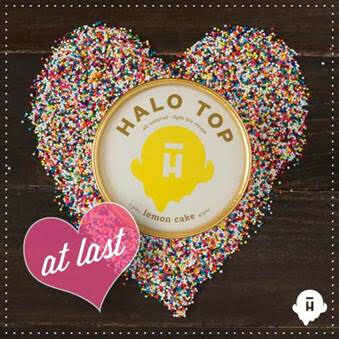 Halo Top Ice Cream is only 60-80 calories per serving (240-280 per pint), allowing you to eat your heart out — guilt free! It is also 100% organic, filled with six grams of protein and four grams of fiber per serving. Did I mention it’s also only four grams of sugar per serving as well? Flavors include Vanilla Bean, Strawberry, Chocolate, Lemon Cake and their newest varieties, Mint Chip, Chocolate Mocha Chip and Birthday Cake. My daughter loves the Birthday Cake, with sprinkles on top. 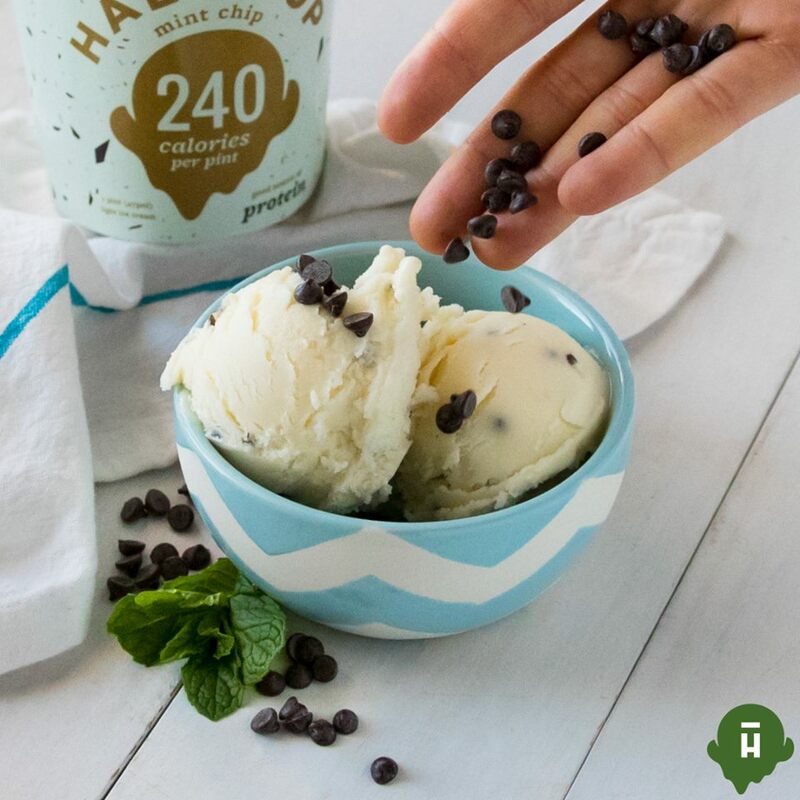 Hubs favorite is Chocolate, and I think the Mint Chip is delicious! 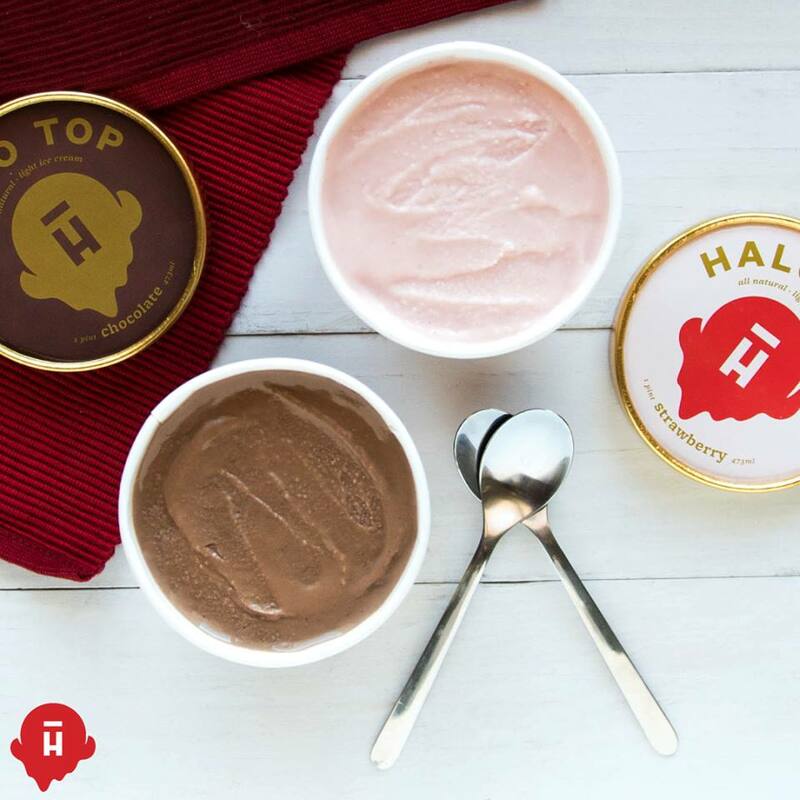 The giveaway winner will receive four free pints of Halo Top. Open to U.S. only. 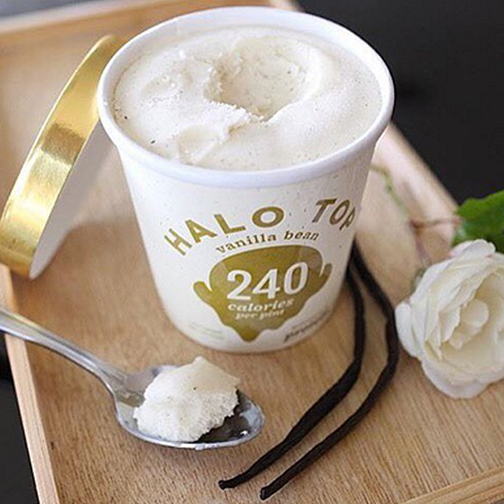 While Halo Top is low-calorie, high-protein, and low-sugar, they use only the best, all-natural ingredients to craft their ice cream so that it tastes just like regular ice cream. They use organic stevia. Stevia is a plant native to Paraguay that’s been used to sweeten foods and beverages for more than 200 years. It’s really good. They also use it as a sugar replacement. Erythritol has a funny name, but it’s another all-natural sweetener. It’s found in things like pears and grapes and has naturally been in our diet for a looooong time. It’s technically a sugar alcohol, but that’s kinda misleading because it’s in a class apart from the other sugar alcohols. For example, erythritol doesn’t affect blood glucose or cause bloating. Answer this question: What is your favorite flavor ice cream? 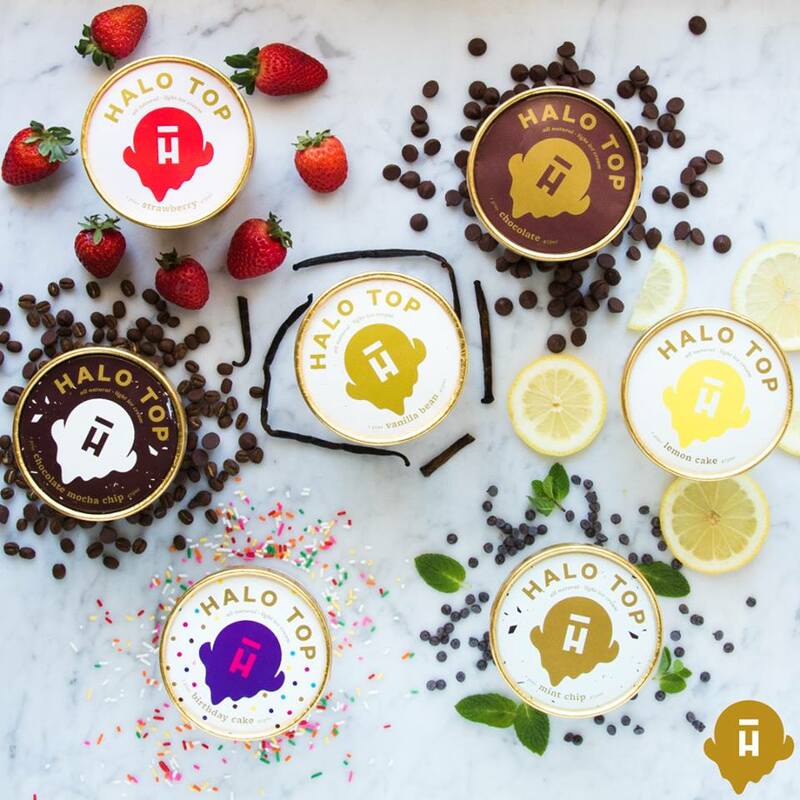 The giveaway winner will receive four free pints of Halo Top Ice Cream. Winner will be notified via email and Facebook. Halo Top Ice Cream is responsible for prize fulfillment. Rocky road. Ice. Cream. Love. Your. Recipes. I am a chocolate girl at heart. Love your recipes. Love recipes on fb. Try to comment on all of them. Love chocolate pb ice cream! Yum!! We love ice cream. I haven’t tried this brand, but I’ll pick some up next week. I don’t think that there’s a flavor we don’t like. Rocky Road! What’s not to like? I’m simple I love Vanilla Bean. My favorite flavor is strawberry! I also like coffee flavored! I subscribe to your blog! My favorite Ice Cream flavor is Jamoca Almond Fudge. 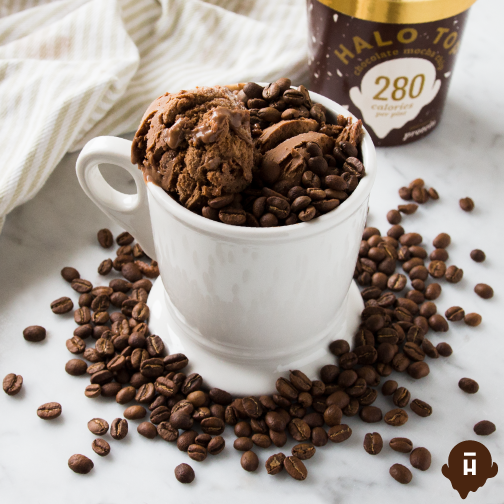 I’ve been looking for an ice cream dessert that tastes like ice cream with less calories. I’ve got to try that chocolate Mocha! Pralines and Cream!! Love, Love, Love! I’m excited to know that such a great option for ice cream exists. Thanks for sharing!! Strawberry is my favorite ice cream flavor. Cake batter! 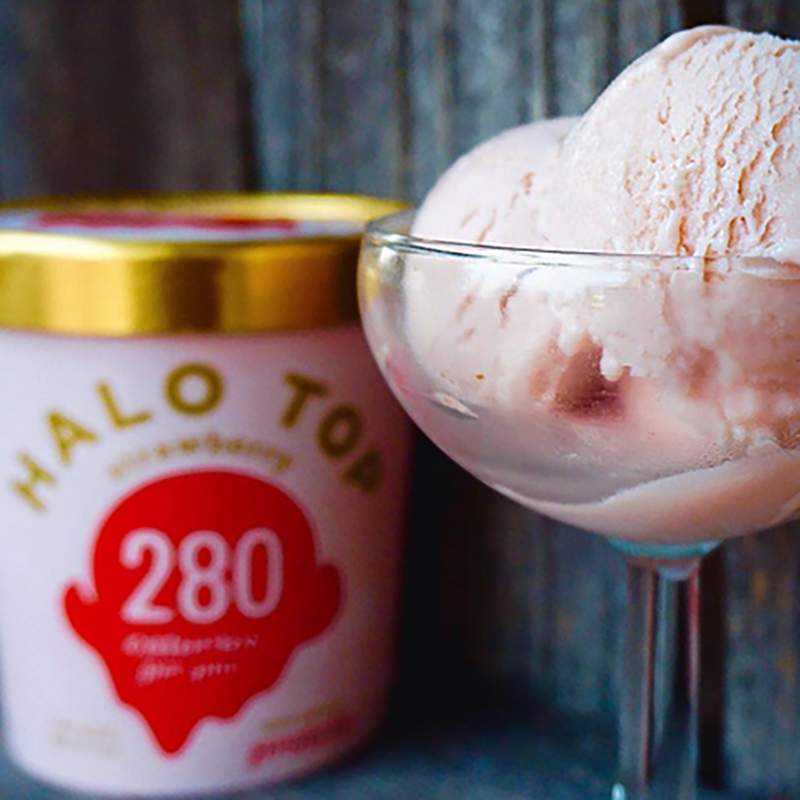 by far is the best, especially the halo top version! How can one have a favorite ice cream flavor when there are so many awesome flavors out there. It usually depends on my mood. I usually default to a chocolaty one, but I also love coffee. Cookie dough and caramel ones are also yummy. So ya maybe I just like ice cream. And if there is actually a low calorie ice cream that tastes like ice cream.. oh my.. I think I’m in heaven. I just had the lemon flavor and I am in love. Absolute favorite. Vanilla with flecks of vanilla bean and pieces of maple roasted pecans swirled in. Vanilla with flecks of real vanilla brain and maple roasted pecan peices swirled in. Big fan of coffee ice cream & B&J Chubby Hubby. Green tea! It’s so yummy!